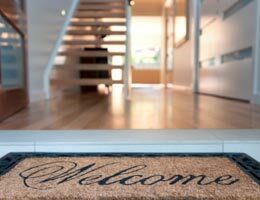 Home Staging Tips Raleigh Home Buyers Love! | Puck Realty, Inc.
Home Staging Tips Raleigh Home Buyers Love! When selling your Raleigh home, it may feel like there are so many things out of your control. However, one thing that you have complete control over is what your home looks like when potential buyers come through. Many sellers stage their home in the hopes that it will help get it sold quicker. This is a tried and true method, but you should be cautious when doing this as it is easy to go overboard and actually over-stage your Raleigh home. Get rid of all that extra clutter! Now is the time to throw out all those unused items that you’ve just been putting off doing. Getting rid of the unnecessary objects in your home has a two-fold benefit: first, it will make your home appear much more clean and organized, which is appealing to buyers; second, it will be easier for you when it’s time to move! Don’t just stuff the clutter in a cupboard or the basement – actually get rid of it. Buyers who are very interested in your home will be going through each inch of the home, including inside closets. You should have all these areas ready for people to look through. Don’t over do it on the scents! Wanting your home to smell inviting is a good thing, just be careful to not overdo it. Be strategic where you put air fresheners and burn candles. Also make sure the scents complement each other. Some sellers go one step further and bake a fresh batch of cookies before potential buyers are going to walk through. This is entirely your choice, but sometimes less is more. Selling your home means you have to renovate every room, right? Not the case. Spending thousands of dollars on home renovations doesn’t necessarily mean that you are going to sell your home faster or for a better price. It’s difficult to forecast how much each renovation will actually help your revenue. Instead of remodeling each room, try updating the look with fresh paint and new light fixtures. On your cupboards, replace the old knobs with more modern ones. These will give your rooms the update you are looking for without the expensive cost. A creatively decorated room is more appealing to a potential buyer than a boring, perfect room. Buyers like to see what kind of personality the room can have, and it’s important to show that this is a place that’s lived in. Personality can be added to room in several easy ways. First, you can add bright pops of color through fun throw pillows or a bright colored vase on the coffee table. Also, think about hanging pictures that bring color into a room that may be neutral. When it comes to how much furniture you should have when staging your home, the easy rule of thumb is all or nothing. If you can, you should keep all the nice furniture in the house, which not only shows personality but also that someone does live here. If you are in the process of moving out, you should also empty the house of all the furniture. Having a room with a lone chair in the corner portrays a sense of abandonment, and can subconsciously discourage potential buyers from purchasing your Raleigh home. Home staging is part of the home selling process. When you are ready to sell your Raleigh home be sure to call our team of real estate solutions professionals at 919-842-5900 and let us help get your home sold fast!